You think you’ve had a good breakfast before? Melbourne sets a new standard when it comes to the first meal of the day. Whether you like your morning meal artisanally crafted, or you just want to keep things simple – you will find the best toasts, eggs, juices, and coffees in Melbourne’s cafes. Even if the Aussie classic of smashed avocado on toast isn’t quite your style, I promise you will find something to love here. Breakfast not your thing? That’s cool. There are SO many options for dinner tonight. Melbourne’s large immigrant population means the diversity in food options are endless. And the best part? A lot of it is affordable. 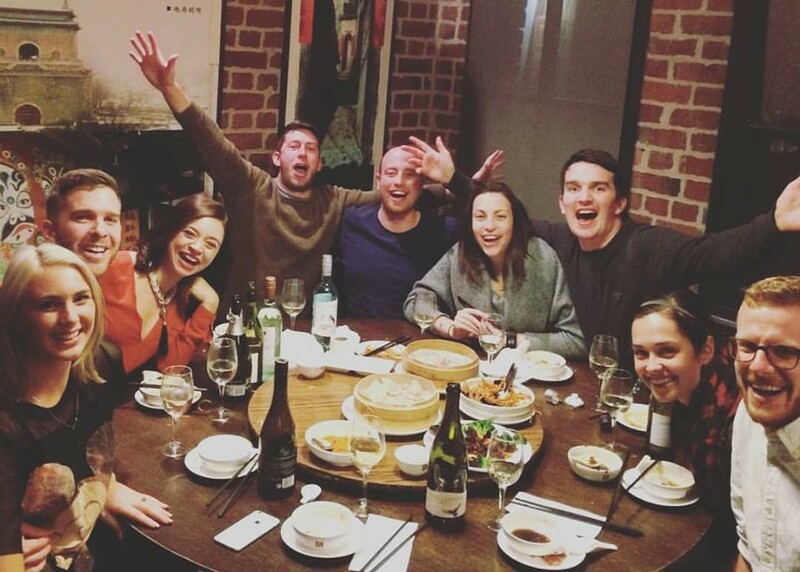 Chinatown has become a favorite of Tom and I’s, where we regularly meet friends for dumpling and BYO-bubbly fueled evenings. We also love Lygon Street – the city’s Italian district – for handmade pastas and gelato. Want something a little higher end? Melbourne is home to some of the top restaurants in the world – including Attica, which features a 20 course tour of local Australasia fare. View from our seats at the MCG during the footy semi-finals. Read this: I have never, ever been a sports fan before Melbourne. Okay, I may have bought myself a Red Sox cap and visited Fenway park a few times while living in Boston – but that’s the closest I’ve ever come to an interest or loyalty to a team. But Melbourne is such a sports town – with amazing facilities that host a number of huge competitions. After a lifetime of feeling totally ambivalent to American football, it only took one game at Melbourne’s MCG to make an Aussie-Rules Footy lover out of me (seriously – it moves fast and is so interesting to watch!). And I was lucky enough recently to score front row seats for a whole day at the Australian Open tennis competition. The ferocity of the love this city has for its sports is contagious. I’ve never experienced anything like it. Melbourne architecture isn’t always easy to understand, and it isn’t often hailed as a ‘beautiful’ city. It has a grungy feel to it, but I’ve come to love the unique combo of old, graffiti covered rowhouses and colorful, funky skyscrapers. The street art scene in Melbourne is particularly vibrant – and I’ve noticed that often some of the nicest areas are the most covered in spray paint manifestos. There’s always something new to catch the eye if you look in the right places. 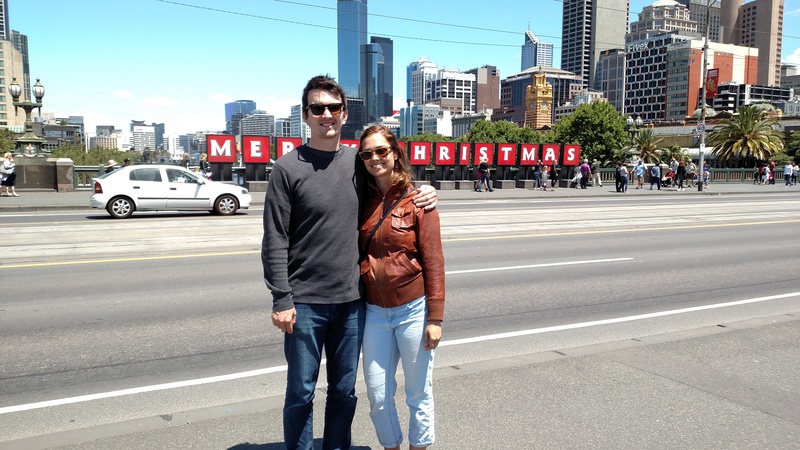 The Melbourne winter is long and chilly, but when the weather is good, it is GOOD. 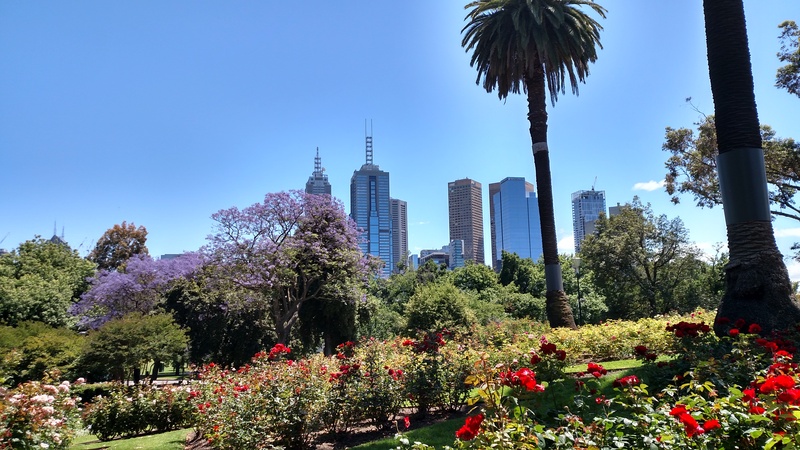 Our dry climate tempers the heat that comes with the famously strong Australian sun, and one of my very favorite places to spend a sunny day has to be the expansive botanical gardens. When my parents came to visit, we spent hours wandering this gorgeous park and didn’t come close to seeing it all. 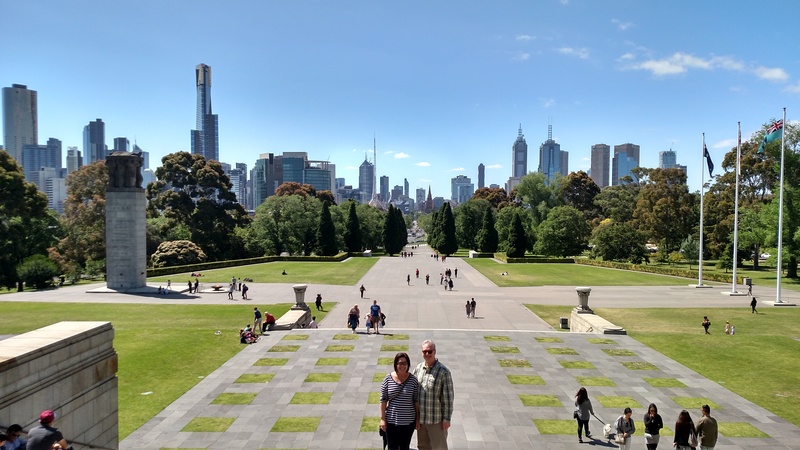 Plus, the gardens also often plays host to special events like the outdoor cinema Tom and I visited on my first trip to Melbourne back in 2015, as well as concerts and art exhibitions. 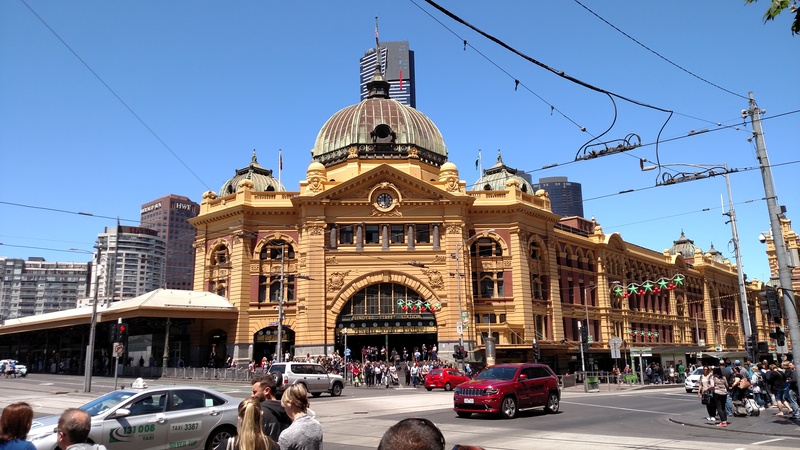 The Central Banking District is what we call downtown on this side of the world, and Melbourne’s is clean, interesting to the eye, and full of amazing food, interesting shops, winding laneways, a lovely central square, and a beautiful Riverwalk. 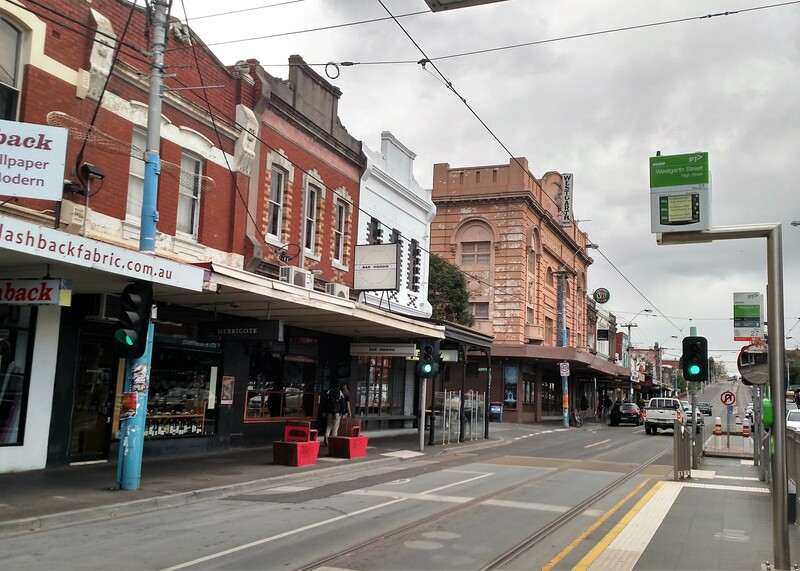 It’s a great place to start exploring the city, and a free tram zone and several centrally located train stations make it very easy to navigate. 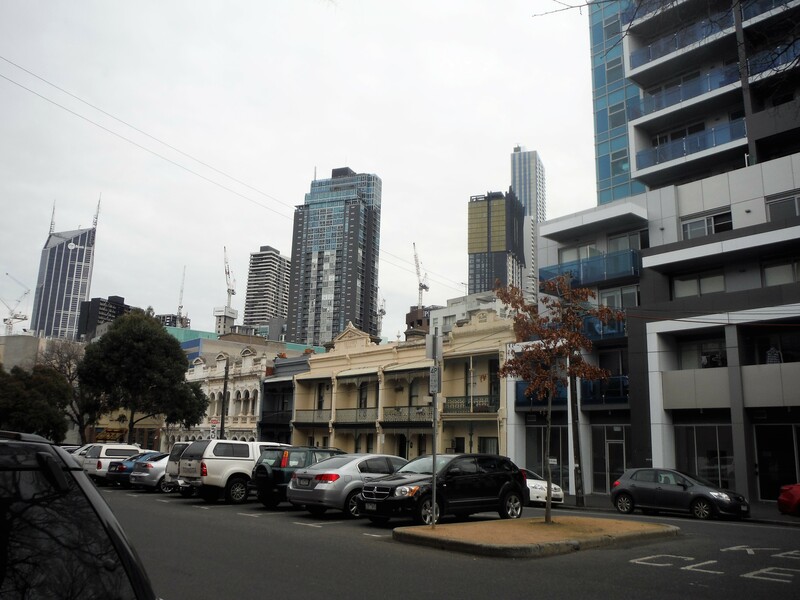 As cool as the CBD is, most Melbournians will tell you the soul of the city is in it’s suburbs. Sprawling out in all directions from the Yarra river are low-rise, well connected urban neighborhoods with many distinct personalities. 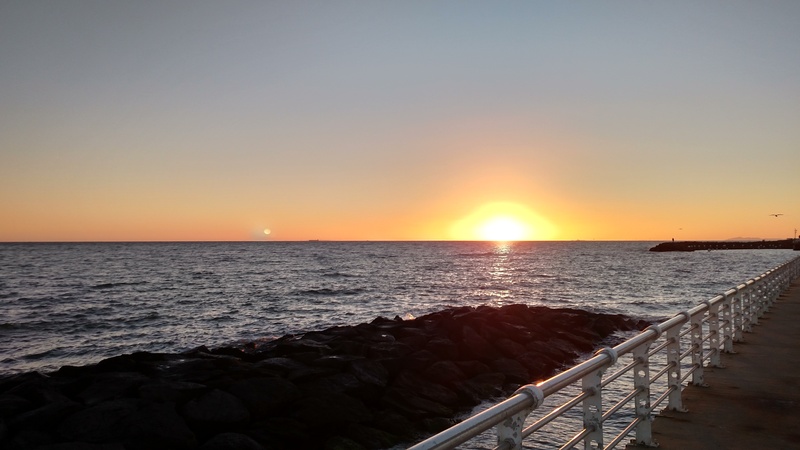 I’ve come to especially love the suburbs of Fitzroy, Carlton, and Brunswick – but cannot shake my allegiance to my own suburb – Northcote, with it’s affordable strip of amazing restaurants that nurtured me through my first long southern winter. After my difficult experience in NYC, I was anxious that moving to another big city would not be good for my mental health. And while Melbourne does have her noisy moments, I have found this city to be accessible, interesting, and overall – very, very kind. The people here move a bit slower than what you see in a lot of other major metropolitan areas, and they smile back when you make awkward eye contact on the street. 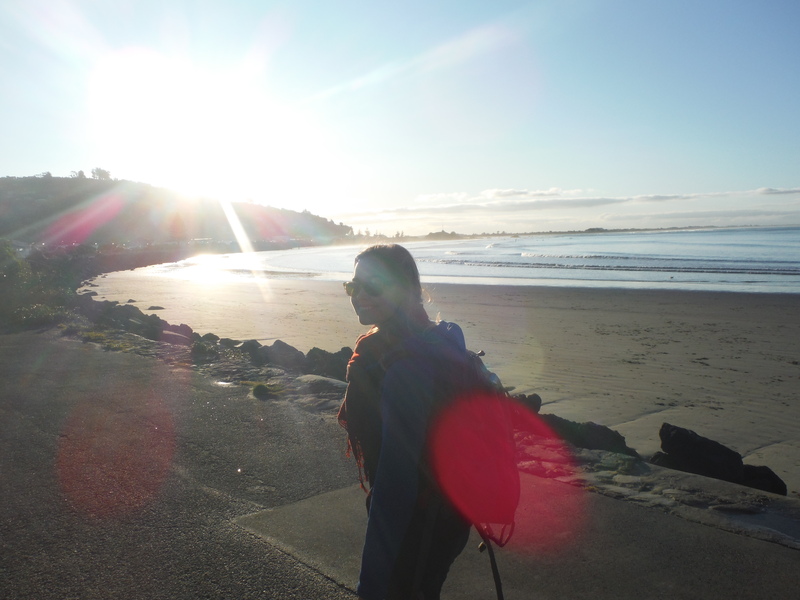 I won’t declare myself a city girl through and through just yet, but I think if any city can turn me – it’s this one. I love this post. Sounds like a great city!! Also, love your new blog layout!